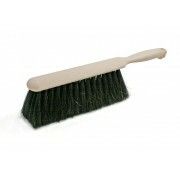 Horsehair blend brush. Block size 8" x 2 1/2" trim length. .. Available in 10" and 14" block sizes, these deck sweeping brushes and made with palmyra filament for durability and long life. 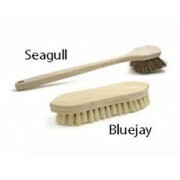 Both brushes come with a 2" trim out and will accept our standard H-25 handle .. 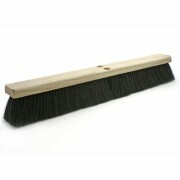 Available in 24" width, these fine sweeping brushes have Tamplene Centre w/Synthetic and horsehair border, they have a 3" trim length, suggested handle H-250 .. Available in 18" and 24" widths, these garage and patio sweeps are made with palmyra filament for durability and long life. Both brushes come with a 4" trim out and accept our standard H-19 handle. .. Available in 15/16" and 1 1/8" diameters, these handles come in 5' or 6' lengths. 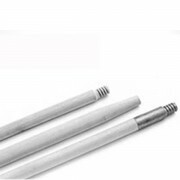 Handles can be clear lacquered or sanded finish and can have a threaded metal tip or a tapered end. 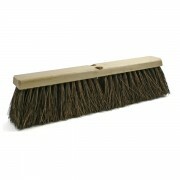 Fits most standard sweeps and brushes .. 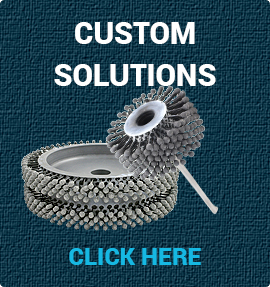 Available in 5", 5 1/2" , 8" and 9" widths, these scrub brushes are made with palmyra, white tampico or Prolene plastic filament for durability and long life. 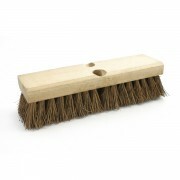 Brushes come with a 1", 1 1/8" or 2" trim out and are ideal for hand cleaning operations. Note: Sea Gull style limited to stock..